"It is new, it is different, and therefore we should fear it." A-ha that's a good one. 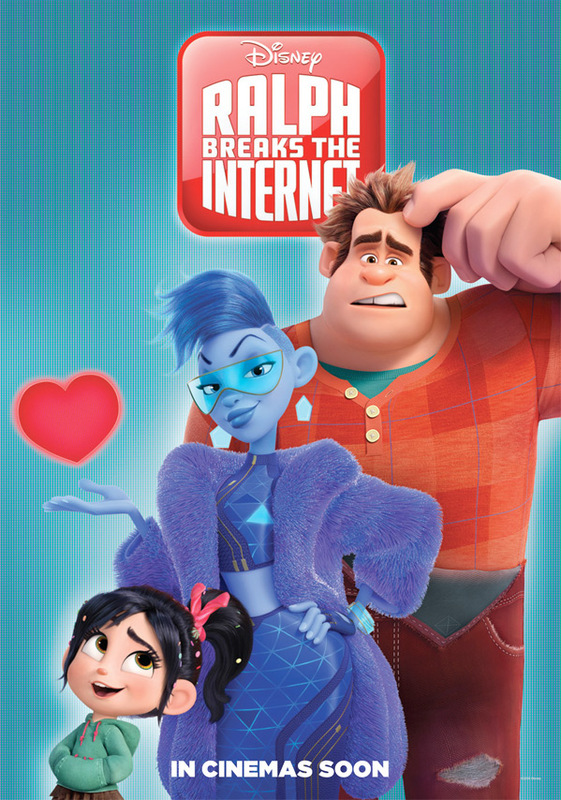 Disney has debuted a final international (UK) trailer for the animated sequel Ralph Breaks the Internet: Wreck-It Ralph 2, to top off the third trailer we posted a few weeks ago. John C. Reilly returns as the voice of Ralph, the "bad guy" who is really a good guy, from the first Wreck-It Ralph movie released in 2012. This time he follows Vanellope, voiced again by Sarah Silverman, into the internet and there they meet the "netizens", getting in all kinds of trouble looking for a part they need to repair Vanellope's game in the arcade. The voice cast also features Taraji P. Henson, Kelly Macdonald, Kristen Bell, Mandy Moore, Alan Tudyk, Jane Lynch, Idina Menzel, Jack McBrayer, Jodi Benson, as well as Gal Gadot (who doesn't get any time in this trailer). I'm already completely sold on this movie, it's looking like another stand out sequel this year. You can watch the first teaser for Disney's Wreck-It Ralph 2 here, or the first full trailer or third full trailer.